Jacqueline Novogratz left a career in international banking to spend her life on a quest to understand global poverty and find powerful new ways of tackling it. From her first stumbling efforts as a young idealist venturing forth in Africa to the creation of the trailblazing organization she runs today, Novogratz tells gripping stories with unforgettable characters. She shows, in ways both hilarious and heartbreaking, how traditional charity often fails, but how a new form of philanthropic investing called patient capital can help make people self-sufficient and can change millions of lives. 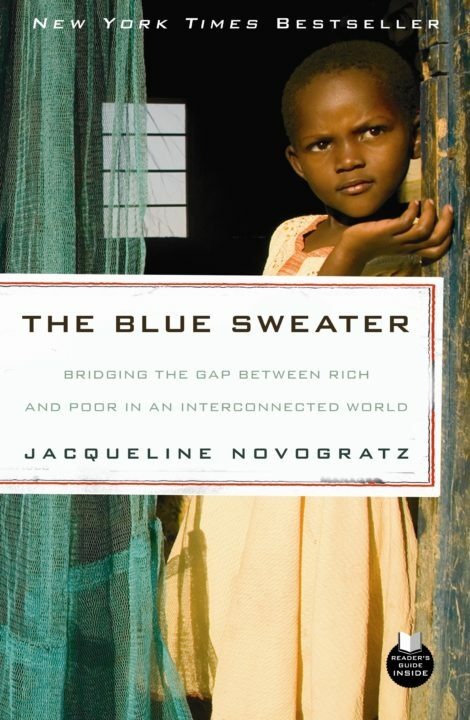 More than just an autobiography or a how-to guide to addressing poverty, The Blue Sweater is a call to action that challenges us to grant dignity to the poor and to rethink our engagement with the world.